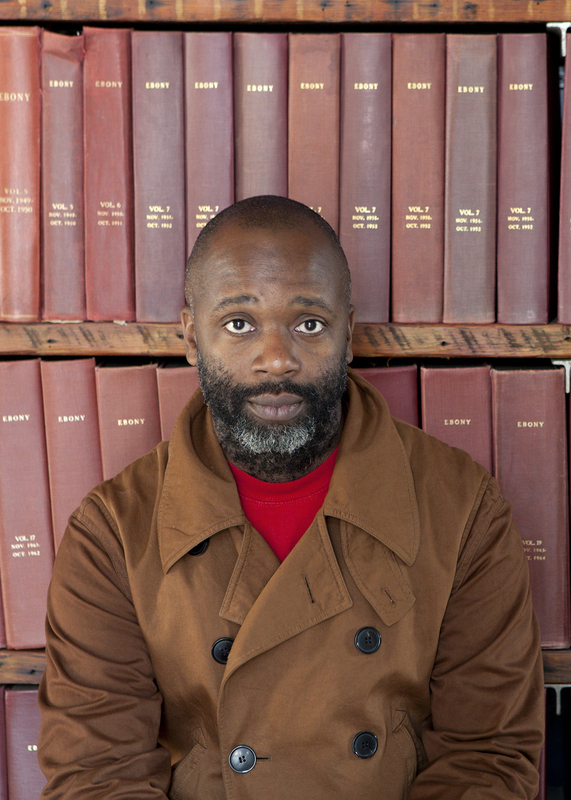 Theaster Gates, photo by Sarah Pooley, courtesy of the artist and White Cube. 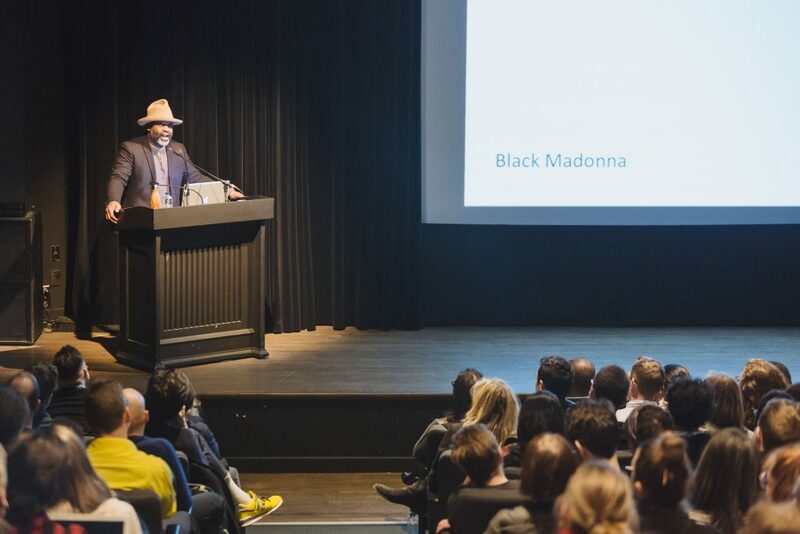 Art Speaks and DHC/ART Foundation for Contemporary Art are proud to present The Black Madonna, a talk by the artist Theaster Gates. 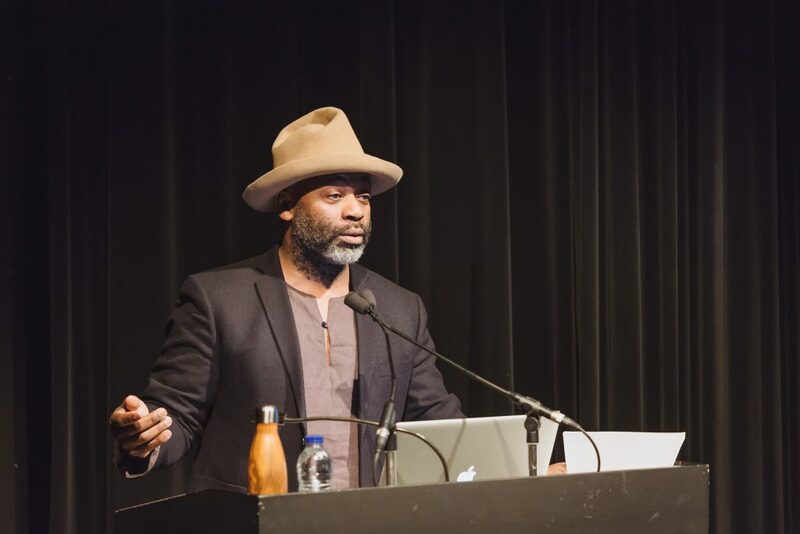 Theaster Gates is internationally renowned for his interdisciplinary practice that spans sculpture, installation, painting, sound, performance and urban interventions. Known for his recirculation of art-world capital, Gates’ work focuses on the possibility of the “life within things.” Gates smartly upturns art values, land values, and human values. In all aspects of his work, he contends with the notion of Black space as a formal exercise – one defined by collective desire, artistic agency, and the tactics of a pragmatist. 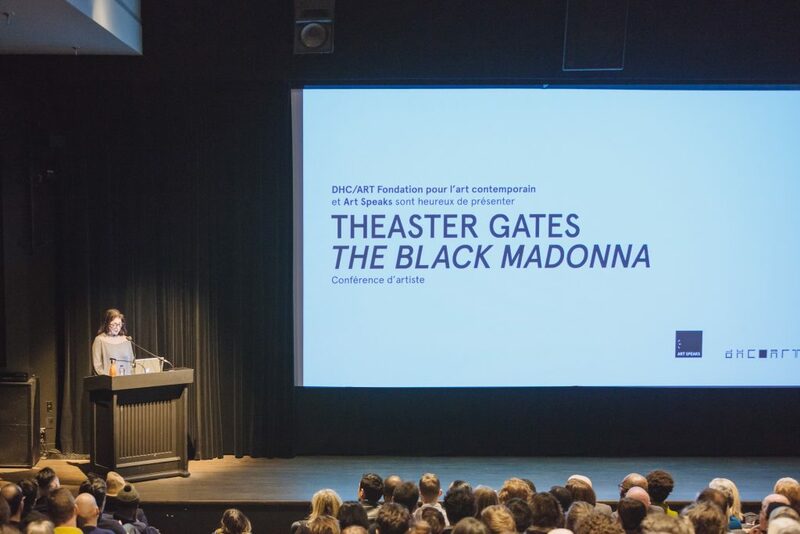 For this special event, Gates will discuss his latest research for The Black Madonna, a multi-part project that comprises a series of exhibitions and performances which draw on a range of sources, from influential depictions of the Madonna in European churches and museums, to the extensive print archive of the Johnson Publishing Corporation, the Chicago-based publisher of Jet and Ebony magazines. This exploration of the history of the black female and her image will manifest in exhibitions in four institutions in 2018. 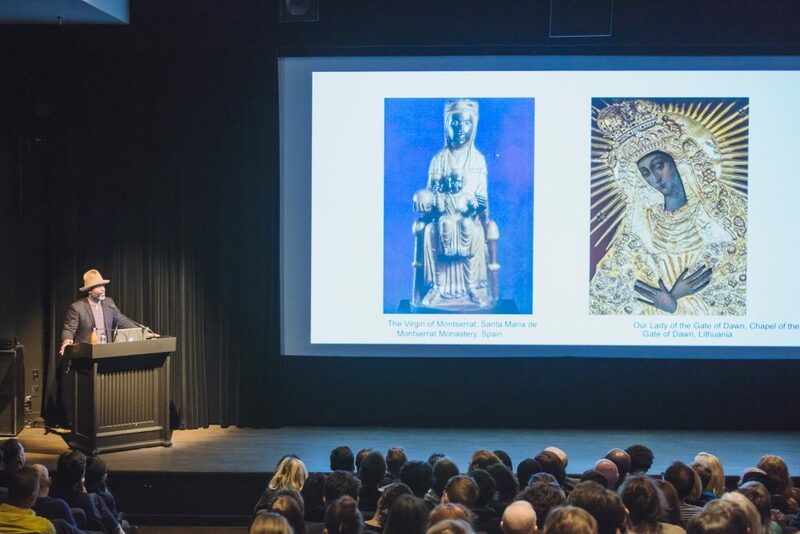 The Black Madonna will be presented at Kunstmuseum, Basel, Switzerland (June 9–October 21, 2018); Sprengel Museum, Kurt Schwitters Prize Exhibition, Hannover, Germany (from June 22, 2018); Fondazione Prada, Milan, Italy (September 2018–January 2019); and Haus der Kunst, Munich, Germany (from October 2018). Theaster Gates (b. 1973, Chicago, USA) lives and works in Chicago. Gates has exhibited and performed at the National Gallery of Art, Washington D.C., USA (2017); Art Gallery of Ontario, Canada (2016); Fondazione Prada, Milan, Italy (2016); Whitechapel Gallery, London, UK (2013); Punta della Dogana, Venice, Italy (2013) and dOCUMENTA (13), Kassel, Germany (2012). He was the winner of the Artes Mundi 6 prize in 2013 and the Nasher Prize for Sculpture 2018 and is the recent recipient of the Légion d’Honneur, awarded 2017. Art Speaks hopes to create dynamic conversations and further our understanding of the world through the lens of contemporary art. The organization is dedicated to presenting a platform of international artists and thinkers to provoke and stimulate thought. All events are free and open to the public. 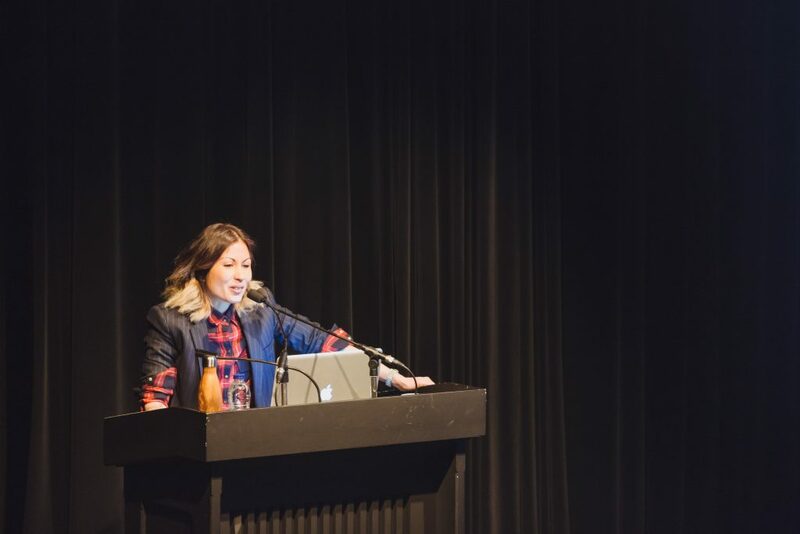 Established in 2007, DHC/ART is a non-profit organization dedicated to the presentation of contemporary art. 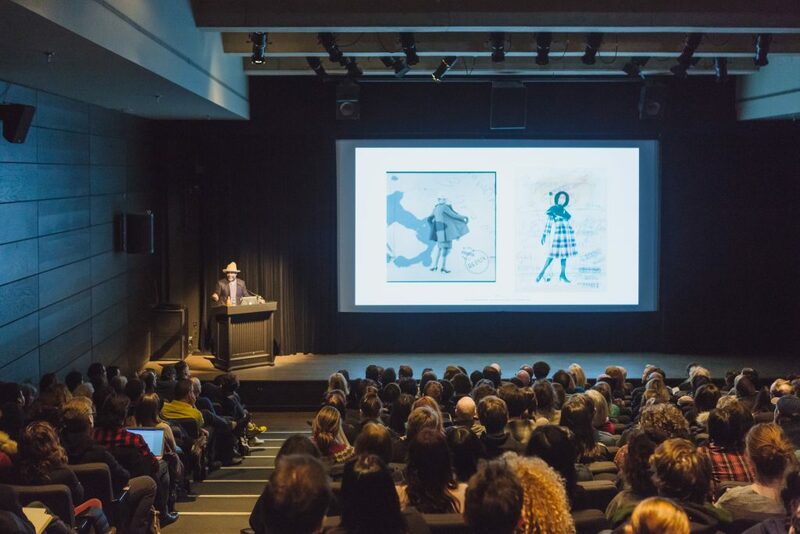 Housed in two heritage buildings located in the heart of Old Montreal, DHC/ART’s programming has met with critical acclaim both at home and around the world. 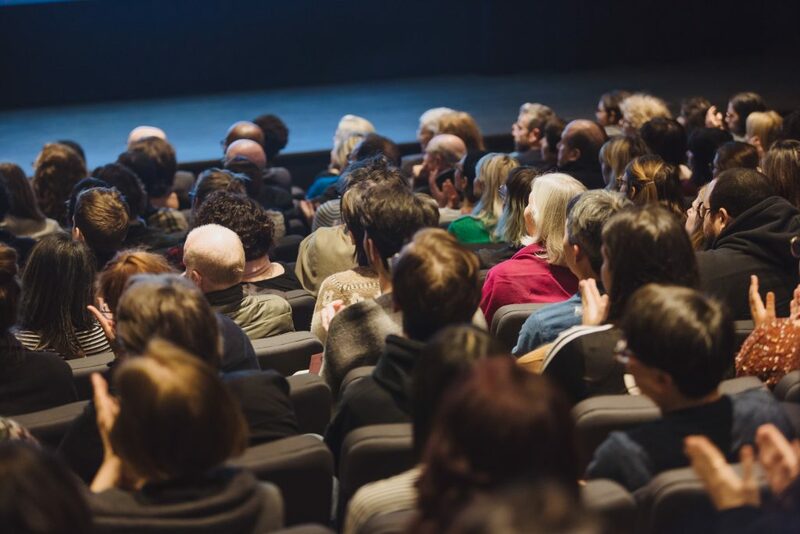 Each year we offer two to three major exhibitions, a series of public events, special collaborative projects and a forward thinking education program. International in scope while responsive to the context of the city of Montreal, all of DHC/ART’s programming is offered free of charge as a way to reinforce its commitment to accessibility while fostering a discussion on how contemporary art is invested with the topics and ideas that reflect and touch our everyday lives.